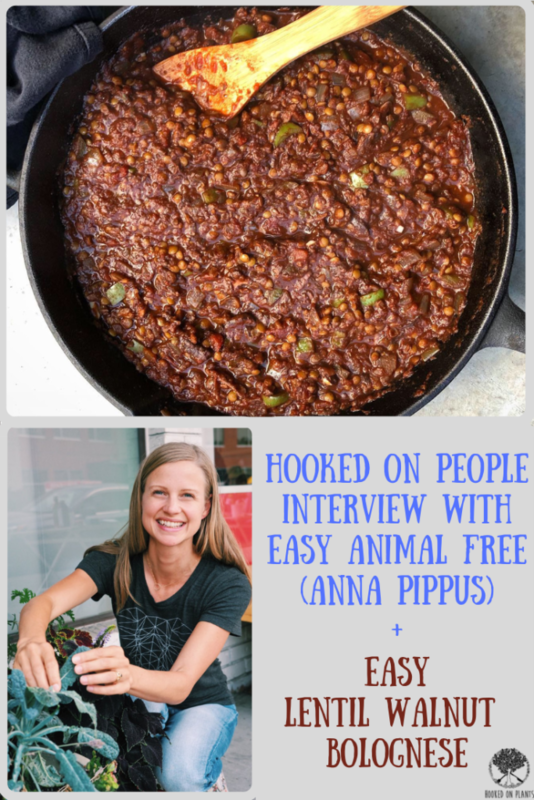 Anna’s instagram stories ( @easyanimalfree ) make the vegan lifestyle as a busy Mom of 2 look like a breeze (by making recipes like her lentil walnut bolognese, shared below!). 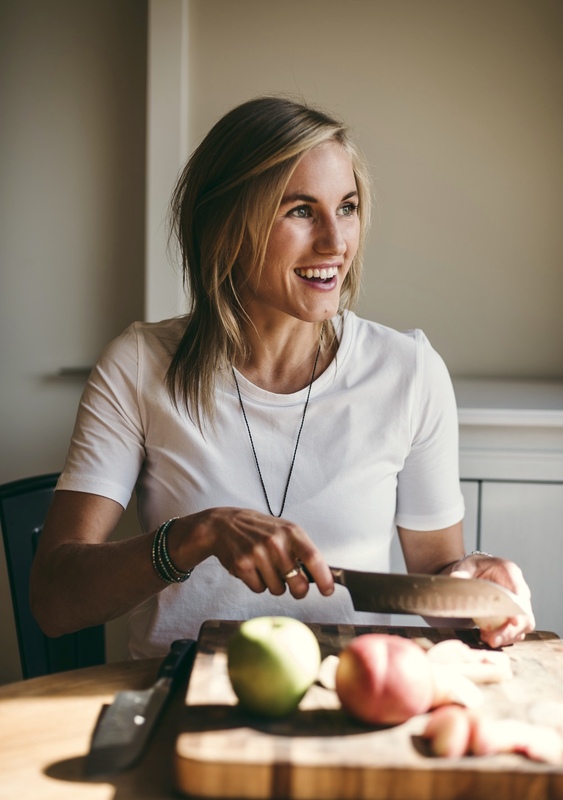 The way she shares recipes, ideas and tips makes her super approachable, and totally normalizes the plant-based lifestyle. In a nutshell, Anna is an animal rights activist, and lawyer. 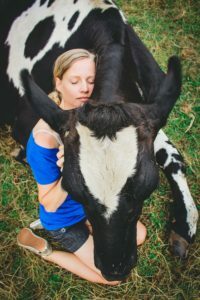 Her life’s mission is to minimize animal’s suffering as much as she possibly can… and she’s doing this by specializing in farm animals by serving as director of farmed animal advocacy for Animal Justice, and as a strategic advisor for We Animals. 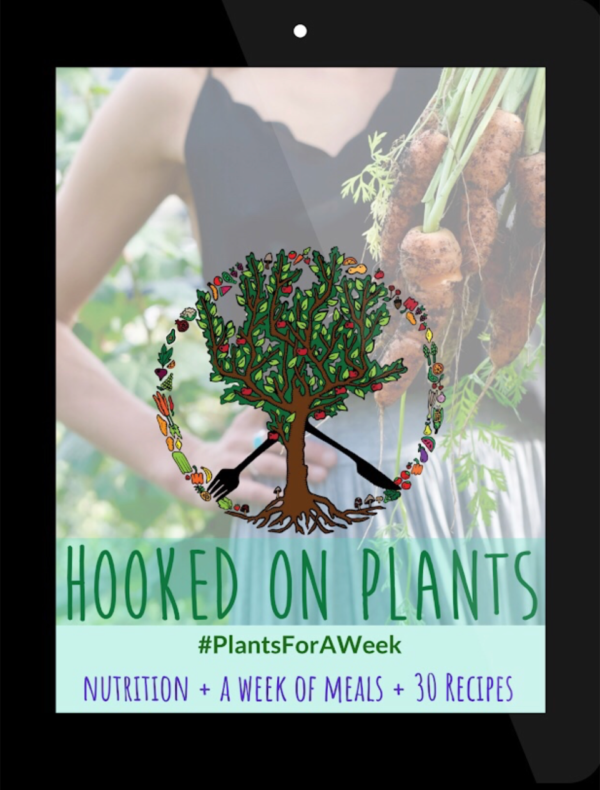 She is an incredible voice for the voiceless, and does a fantastic job bringing it all back to the mainstream by showing how simple it can be to create easy, breezy, delicious meals for her family. Hooked on Plants: Was there a moment in your life that made you go vegan? Anna Pippus: I went vegetarian as a kid, simply because I was a big animal lover and it didn’t feel right to eat animals. But, I didn’t know anything about farming back then, and I kept eating eggs and dairy, wearing leather, and buying cosmetics by animal testing brands without too much thought. This was the early 90s—there was no internet, and veganism was rare enough that I’d never heard of it. A little over ten years ago, I first heard about veganism, and on some level I think it occurred to me that this was probably a good thing to do, something that I should and would do. I half-heartedly poured watery rice milk in my tea and tried to avoid cheese made with cow’s milk (which I loved, and in those days vegan cheeses were inedible). But I avoided learning more about farming. I had such empathy for animals that I couldn’t stand seeing them suffering. I told myself that I was already doing my part, that exposing myself to gory photos and videos wouldn’t help. Then, in Charlotte Montgomery’s book Blood Relations, I read a story about a bull on a truck being taken to slaughter. The bull had a broken hip and couldn’t stand, let alone walk. But bulls are enormous animals and the only way for them to get off a truck is on their own (on farms, tractors are used to move downed cattle). The workers used an electric prod to shock the bull and force him to drag himself—using only his front legs—to the back of the truck, where he slammed several feet into the ground below. Then, he was forced to drag himself into the slaughterhouse. It took hours. By the time he was inside, the slaughterhouse was closing for the day, and he was left— alone and in pain—on the floor to wait for the next day, when workers would kill him. It was like I’d been splashed with a bucket of cold water. In that moment, I realized with full clarity something I think I’d been growing to understand all along: that when animals are used as commodities, they will suffer. Animal welfare is most often in tension with profits. Workers are desensitized to the suffering of animals, because they have to be in order to be able to do the job. I realized then that farming animals could never be humane. I immediately became not only vegan, but a dedicated activist. And fortunately, plant-based milks and cheeses have come a long way since then—there are lots of delicious options now! 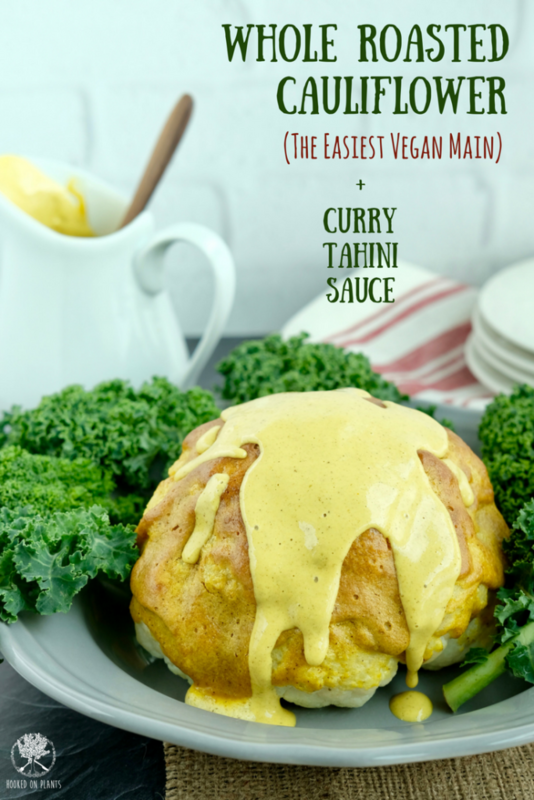 HOP: You have a very in-depth post here about raising vegan children, but could you give a few simple tips here on vegan lunch prepping for families? AP: In our family, I do most of the kitchen managing and cooking, because it’s something I really enjoy. But I’m definitely not up for making complicated, time-consuming meals, and I only have it in me to cook once a day, at dinner time. (I love my end-of-day ritual of putting on some music and getting absorbed in the creativity of cooking). So, at dinner, I tend to cook big meals, that will provide us with leftovers for the next day, or extra parts that can be repurposed into something else (e.g. extra rice to make fried rice another day). That way, when I open the fridge at lunch time, there’s always something to work with. If there isn’t, we have sandwiches or open-faced toast, along with veggies (like peppers or cucumber), fruit, nuts etc. I’m a big believer in the gospel of hummus. Everyone should have it in the fridge! It’s delicious, ridiculously nutritious, a good source of iron, calcium, and protein, and widely liked even by the world’s least adventurous eaters. It’s perfect on sandwiches, salads, and bowls, and as a dip with crackers or vegetables. HOP: You use your legal training to do your best to change the farm animal laws (amazing! )… but what are your top tips for people who want to make a difference in the animals lives, but don’t know where to start? AP: There is so much to be done! 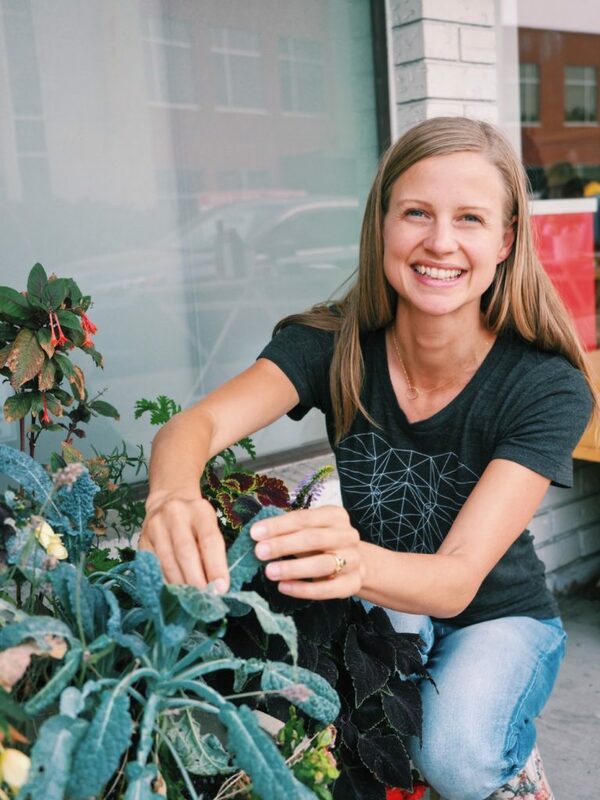 Everyone has different skills, lifestyles, and personalities, so I think the first step is to self-reflect and take inventory about how you can best contribute to the movement in a way that will be both impactful for animals and sustainable for you. donate to effective initiatives and organizations. volunteer with established initiatives and organizations, especially if you have skills in bookkeeping, fundraising, graphic design, video production, or anything else that non-profits are chronically in need of. organize or attend impactful protests, demonstrations, and marches. share information and resources that you find impactful or useful on social media. write letters to the editor in response to media pieces about animals, plant-based eating, the environment, health… any hook you can find! write or meet with politicians at all levels of government (municipal, provincial, federal) to ask what they’re doing about animal issues and make suggestions for policies they can back. If there’s a particular piece of legislation being considered, write to let them know you support it. contact restaurants and grocery stores in your neighbourhood to encourage them to add plant-based options. Make suggestions for your favourite products and dishes. sign petitions, if they’re to specific decision-makers with specific, winnable requests. use chalk to write messages on the sidewalks around your neighbourhood, or put up posters on community message boards. 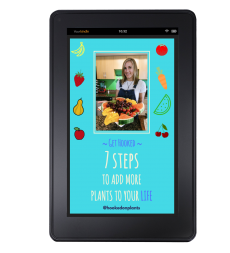 host potlucks, meet ups, book clubs or other events to help build community and spread the word. HOP: What facts might surprise people about grass-fed, free-range and cage free laws? AP: These terms very often don’t mean what people think they do. Even in best-case scenarios, animals are still genetically manipulated to manifest profitable traits that often compromise their welfare. For example, dairy cows produce up to 10 times more milk these days than they used to, which leads to painful engorgement, physical depletion, and rampant mastitis (a painful infection). Chickens raised for meat are bred to grow very large, very quickly, which can cause cardiovascular problems (their little hearts can’t keep up), and lameness because their bones are too soft and immature to support their relatively massive weight. In all sectors, genetic manipulation has produced a laundry list of grotesque outcomes that directly compromise animals’ quality of life. As a mother, probably the thing that breaks my heart the most is how on all farms—even the certified humane ones—animals are separated from their families. In the dairy industry, calves are taken from their mothers a few hours after birth, so that the milk can be diverted to humans. The babies are a waste product of the dairy industry. In nature, hens are doting mothers, peeping to their babies through the shell to establish a bond. After hatching, they’d be nearly inseparable, the babies tucked under their mothers’ wings for comfort and safety. But in our agriculture system, chicks are hatched in industrial hatcheries, never knowing their mothers. Chicken meat and egg farms are like giant orphanages with no mature presence to teach or comfort. If you go into a chicken farm and sit down, the babies will come over and fall asleep in your warm lap. And of course, even in a best case scenario, animals are sent to be killed at a fraction of their natural lifespan. Virtually all animals are babies when we kill them for food: chickens are five to six weeks old, pigs are five to six months, turkeys are three to six months, and beef cattle are 12 to 18 months old. Slaughterhouses are frightening places; the animals can smell blood and they fight for their lives. I would be terrified if I were in their place. All of this for products that are not only unnecessary, they are damaging our health and environment, too. 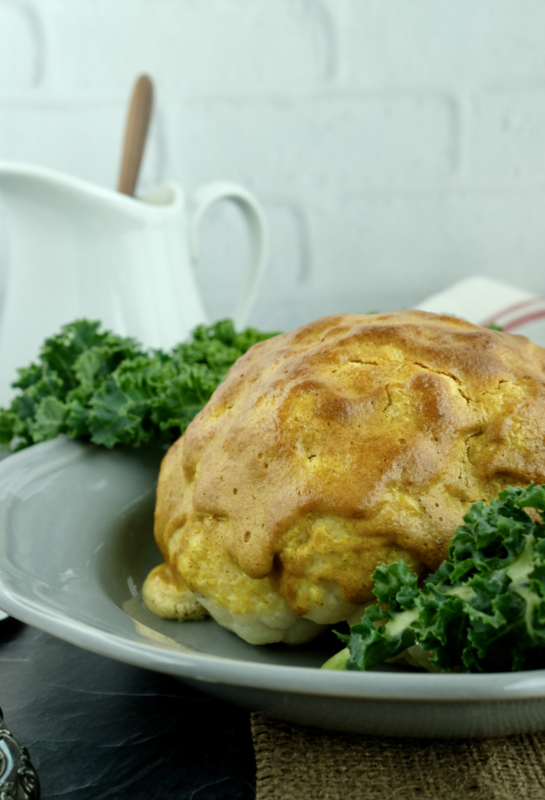 HOP: Your favourite and simplest dinner recipe!? AP: I have a LOT of fave dinner recipes, which you probably know if you follow me on Instagram 🙂 Right now, I’m crushing on a hearty lentil-walnut bolognese. Lentils are superfoods that we need to eat more of, and walnuts are a great source of plant-based omega 3 fatty acids. Another all-time fave pasta dish is pasta with cream sauce. The recipe is here on my site. I’m also a big fan of bowls, which basically follow an endlessly versatile formula: grain, legume, veggies, sauce, nuts/seeds. I have a post on my site all about how to build a bowl, and plenty of bowl ideas on my instagram account. Over medium high heat, sauté an onion until soft (with a splash of water to keep it from sticking). Add a chopped green pepper, 8 oz or so sliced mushrooms, and a few cloves of minced garlic. Use a splash or two of red wine or balsamic vinegar to deglaze the pan. Add about ½ a cup finely chopped walnuts (a food processor works well but not necessary) and toast for a minute or two. Season with oregano and salt, and simmer for a few minutes to combine the flavours. Serve with a pound of your favourite pasta. We love seeing your recipes. 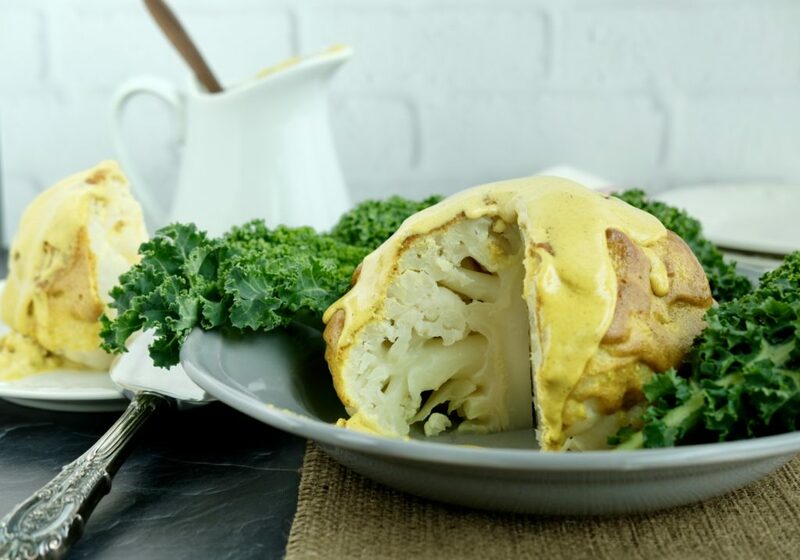 Whole Roasted Cauliflower is the easiest and one of the most delicious ways to enjoy your cauli! This flavourful bomb of a recipe can take place of that main roast on the table. Get those steak knives out, it’s time to carve up the cauli! Said no one, ever… until NOW. But, you won’t need that steak knife, because this juicy cauliflower cooked to perfection, allows any dull knife to easily make it’s way to the bottom of the dish. Let’s talk about this sauce. First, it’s massaged into the cauliflower, then it turns into a beautiful and delicious golden crust. Then, the other half of the golden goodness is drizzled liberally over the finished product. Warning: this sauce may be your new addiction. I brought this one to a potluck, and it was dubbed the vegan turkey. 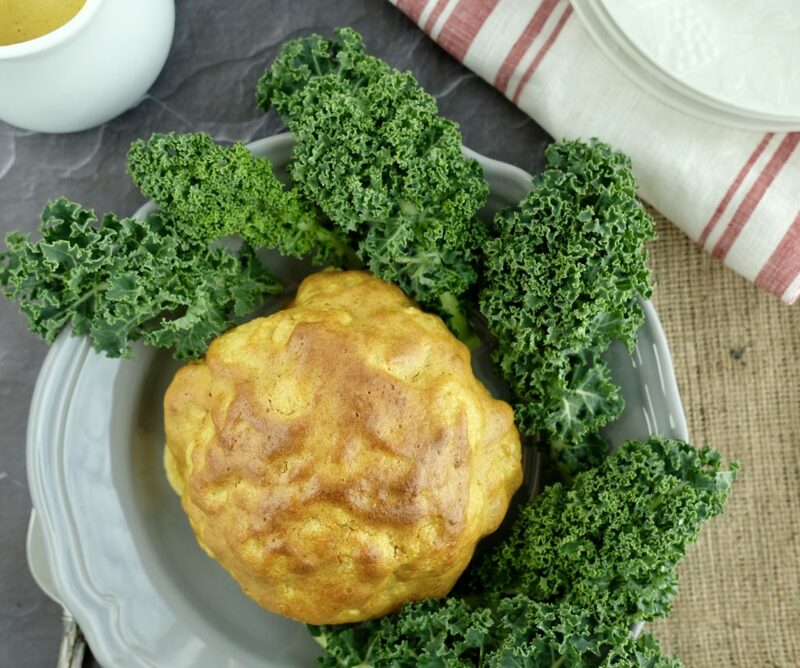 If you’re bringing it to a dinner, place it in a roasting dish, surround it in kale leaves, and put it in a 300°F oven for 10 minutes when you get there (the kale will turn into kale chips, and your roast will be extra golden). In just a few steps you’ll have yourself a killer main. One of the easiest ways to prepare cauliflower. It's perfect for an impressive looking main dish! Meanwhile, make the sauce: blend all sauce ingredients together EXCEPT for the almond milk. 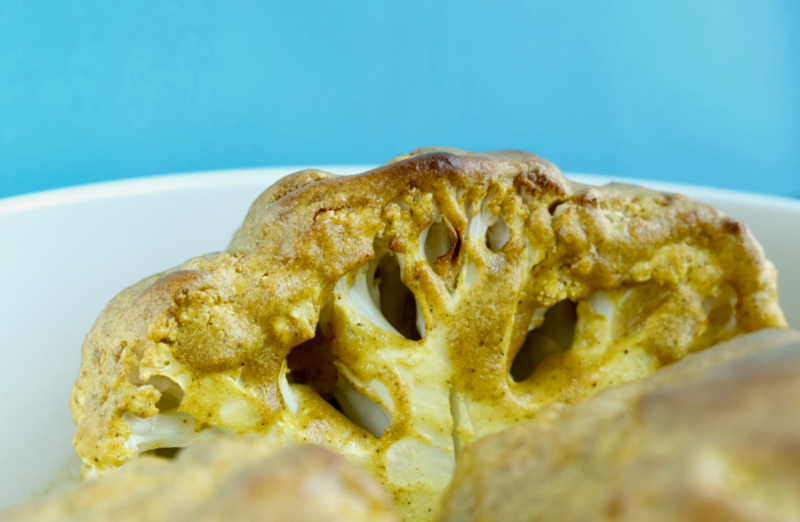 Place cauliflower head, stem-side down, in an oven safe baking dish. Pour half of the sauce over the cauliflower and spread evenly with your hands over the whole head of cauliflower (except for the bottom). Place cauliflower back in the dish, and fill the dish with ½ inch of water. Bake for 50 minutes, or until a knife easily pokes through the centre. When you take the cauliflower out, heat up the rest of the sauce in a small pot with the ½ cup of almond milk. 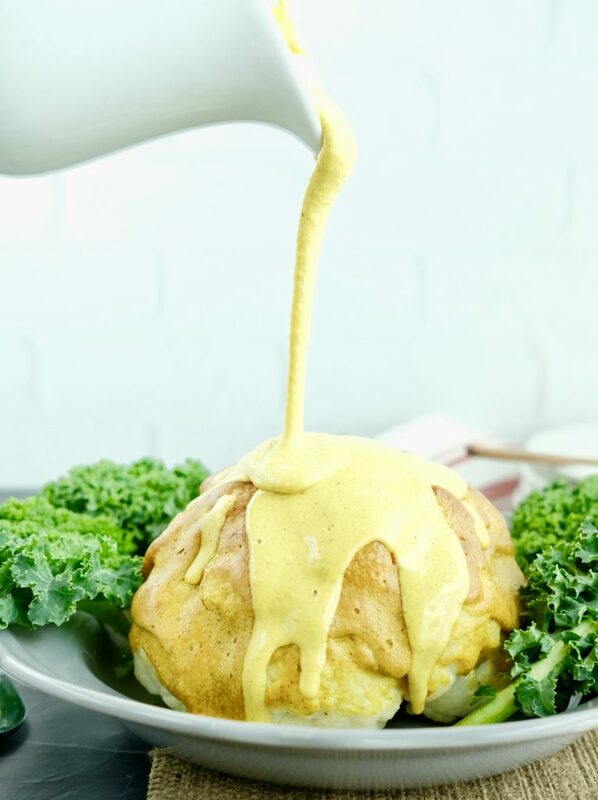 Serve the cauliflower with a good drizzle of the the warm sauce!